Is Goblin Artisans ability considered to be a countering a spell? @JMCraig Have you had a chance to test out Rhythm of the Wild in Animar? I have my reservations regarding the card, but there are people in the Discord that have been giving it good reviews, particularly because it gives mana dorks haste. 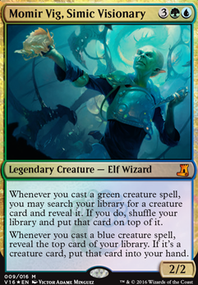 As I see it, the major cons of the card are that A) As an enchantment the deck has no way to tutor for it. B) At 3-CMC it wants to be played on turn 2, the same as Animar. 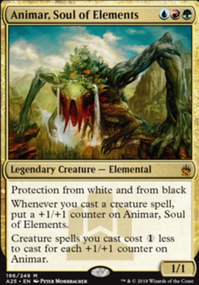 And C) It benefits Animar if cast first, but if cast after Animar its play value for its cost goes down significantly. 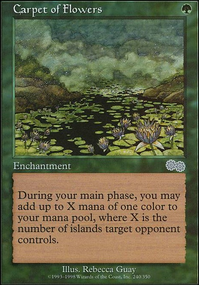 That being said, if you cast Rhythm on turn 2, then Animar turn 3, there is still a chance of comboing off turn 4 if you have a few mana dorks in hand. 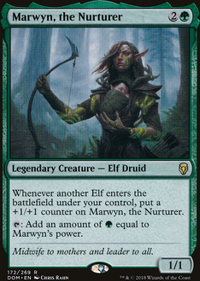 Cards like Llanowar Elves are basically free spells if they get haste. And honestly, in a counterspell heavy meta it may be worth waiting until turn 3 to cast Animar if it also gets to be uncounterable. 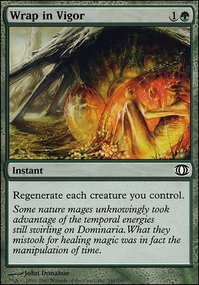 I think some people have been playing it in Gaea's Herald 's slot, and it is nice that Rhythm only makes your creatures uncounterable, but I wonder if that is better than having the Herald as a possible target with Weird Harvest to help protect the other cards you tutor for? The one green mana in the Herald's cost is much easier to accommodate than the two green mana for Prowling Serpopard . I keep mentally comparing the Rhythm to Cloudstone Curio . It is at least possible to tutor for the Curio with tutor cards like Fabricate , and even then it's a card that doesn't show up often. 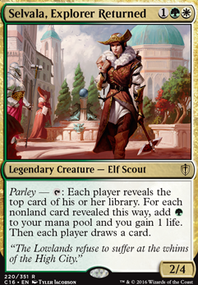 Is it worth giving a 3-CMC non-creature card a slot in the deck if you are only ever going to see it if you draw into it, as opposed to a creature that can be a viable tutor target? Whenever you have the time, I am interested in hearing your current perspective on some of the cards run in this build. 1) Consecrated Sphinx VS Primordial Sage . 2) Loyal Drake and Generous Patron as supportive card draw. 3) The re-inclusion of Slithermuse . 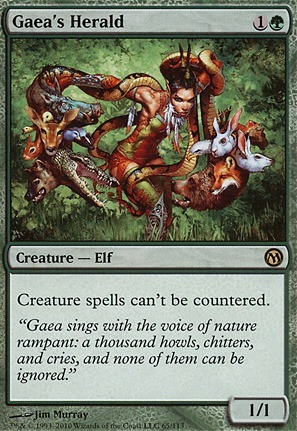 4) Gaea's Herald and the risk it poses of allowing opponents to get their own combo creatures past counterspells. 5) And the general level of risk that you think is involved in casting Weird Harvest . I'm still of the opinion that Loyal Drake's card draw is rather slow. Wouldn't it be better to run Trinket Mage in that slot, since it can tutor for Skullclamp , Walking Ballista , or Lotus Petal to basically make itself a "free" spell that turn?